Tata Motors will have a busy stall at the 2018 Auto Expo. The Indian manufacturer plans to showcase multiple new platforms as well as a brand new design language for the first time at the upcoming Auto Expo. Tata has been working on a premium SUV based on the Land Rover Freelander 2 platform, as well as an all-new premium hatchback based on its new Advanced Modular Platform (AMP) that will take on the Maruti Suzuki Baleno, and Hyundai Elite i20. With the launch of the Tata Nexon compact SUV last year, Tata had showcased a new direction in its design. And for 2018, Tata Motors will debut a completely new design language, Impact Design 2.0, with this hatchback. In addition, the company is keeping its eyes pinned on greener tech with the introduction of electric vehicles (EVs). Tata has also stated that it will showcase as many as 26 smart mobility solutions across its passenger and commercial vehicle range. So there should be plenty for you to see at the Tata Motors stall, come February. The Q501, based on the Land Rover Freelander 2 platform, will take shape as the new flagship for Tata that will rival premium SUVs. Reports suggest the new SUV from the manufacturer will also be exported from 2019. 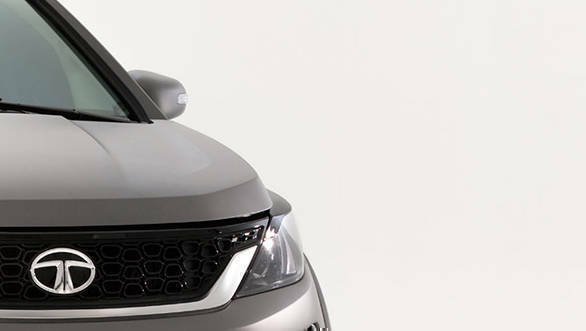 Using the Freelander 2 platform as a base, Tata will customise and localise it to build the SUV for cost-effectiveness. A 5-seater Q501 is expected to go up against the Jeep Compass while its 7-seater version will take the fight to the Toyota Fortuner and Ford Endeavour. The advantage of a Land Rover-derived platform means these SUVs will have sufficient off-road credibility too. The Tata Q501 SUV has been spotted undergoing testing in India under a Discovery Sport garb, so far, and will be seen undisguised for the first time at the Auto Expo. Tata's premium hatchback dreams will be realized this year as the car codenamed the X451 inches closer to its production form. We have already seen artist impressions of the car and the test prototypes are out in the wild already. We expect to see a precursor to the production form by way of a concept car at the Auto Expo. The X451 is an important vehicle for Tata Motors for a number of reasons. It is the first product based on Tata's new Advanced Modular Platform (AMP), which is slated to underpin all Tata small cars in the future. In addition, it will also be the first time that Tata Motors showcases a product wearing its Impact 2.0 design language. With the Indian government making its go-green initiatives loud and clear to the automotive sector, the Tiago electric vehicle (EV) could be one of Tata's front-runners on the road to electrified vehicles in India, starting 2018. The company has already entered into an agreement with Energy Efficient Services Ltd (EESL) for supply of 10,000 Tata Tigor EVs, and has already begun manufacturing the same and delivering from its plant in Sanand, Gujarat. 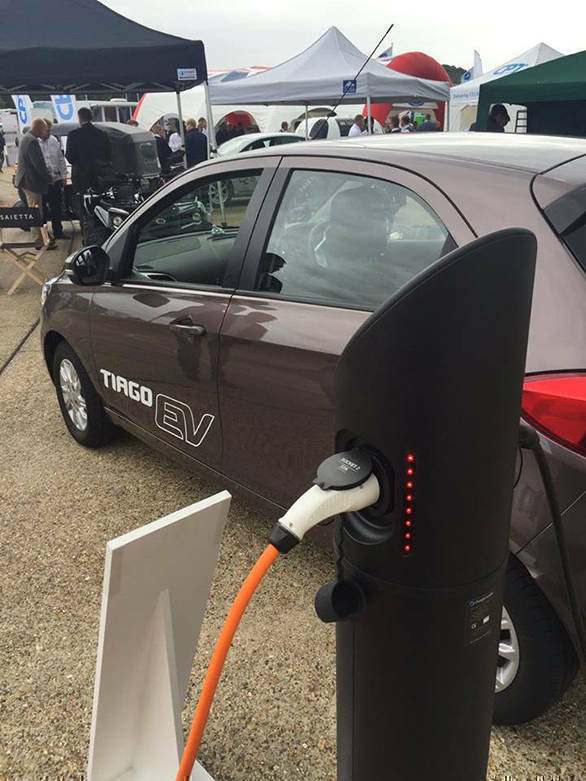 The Tiago EV concept meanwhile has been previously displayed at the Low Carbon Vehicle event held at Millbrook, UK in 2017. The Tata Tiago EV uses a liquid-cooled 85kW electric motor that makes 200Nm of torque and comes mated to a single speed transmission. The EV features similar driving modes like City and Sport, just seen on the AMT-equipped Tiago. Tata claims the Tiago EV will hit 100kmph in less than 11 seconds in sport mode, with a top whack of 135kmph. 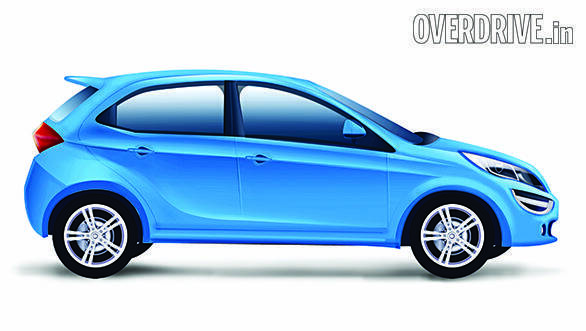 Tata Motors will be bringing in AMT versions of the Nexon petrol as well as diesel variants in India soon. Tata Motors CTO Tim Leverton had earlier said that the Nexon AMT would hit the market by January 2018, but we believe they will likely be launched at the 2018 Auto Expo. The Nexon AMT had been spotted earlier. 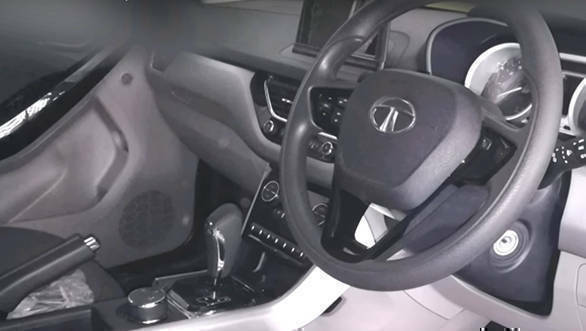 The Tata Nexon compact SUV gets a new gear lever for the AMT-equipped units. We believe the AMT to be a 5-speeder as found on other Tata cars using the technology. The engines will remain the same 1.2-litre turbocharged petrol and 1.5-litre diesel units found on the manual Nexon.